Want the full story, huh? Curious about all those letters behind my name? Where did I learn it all? Want to read the whole (not-incredibly-exciting) story? Let’s just say, I got lucky as a kid. In our house, food was mostly homemade. I loved cooking and was encouraged to help out in the kitchen. We went to the farmers’ market and had bone broth before it was cool (it was just chicken soup). I was always allowed to eat when I was hungry and leave food on my plate when I was full (that’s what dads are for, right?). Sugar wasn’t a major part of my diet, but I was not denied treats. I played in the dirt, collected eggs from our backyard chickens, had a garden, picked oranges and avocados from the trees, and was encouraged to appreciate where my food came from. As you can see, my interest in nutrition, mindful eating, and the interconnected role of healthy soil, animals, and humans is pretty much in my DNA. I read Dr.Weston A. Price’s classic book, Nutrition and Physical Degeneration, and Sally Fallon’s book based on his work, Nourishing Traditions, at a critical time. I was still in high school and had chosen to become vegetarian for optimal health. Despite eating tons of vegetables and avoiding typical vegetarian pitfalls (fake meat and the like), my health started to decline and amidst a world that was pushing tofu over pot roast, oatmeal instead of eggs, and agave as the “perfect” sweetener, I went against all of it. Gradually, but steadily, I reintroduced more animal foods to my diet. Butter, full-fat yogurt, cream!, chicken with the skin, red meat, and eventually, organ meats… and I started to feel better. It took me years (and a lot of research on the side) to trust that these traditional foods were actually healthy (and to let go of all the fear around saturated fat), but I experienced the benefits first-hand. The diets of our ancestors, though varied across the world, were omnivorous, seasonal, and were certainly not low-fat. Before I even applied to college, I was already a PubMed junkie and knew I’d pursue a degree in nutrition (it was either that, art school, or culinary school, but I didn’t want to paint for a living or slave away in a kitchen for the rest of my life). University of Massachusetts, Amherst turned out to be the perfect place for me to delve into nutritional science. Although my education was in a conventional nutrition program that prepared me to become a registered dietitian (and I had zero interest in working in hospitals from day 1), I never turned my back on ancestral nutrition. I elected to take classes on Pesticides, Public Policy & the Environment, Athletic Performance & Supplements, Clinical Herbalism, Vitamin Metabolism, and more (that really should be required for all dietitians, in my opinion). I spent my free time reading scientific literature to try to verify if there was modern clinical data to back the observations of Weston A. Price (there is) or if there was really any evidence to back the claims of organic and biodynamic farming (there is). My research projects focused on the harmful effects of artificial sweeteners, the impact of soaking, sprouting, and fermentation on phytic acid on mineral absorption from grains and other plant foods, how organic agriculture enhances soil health and micronutrients in produce, and… well, you get the idea. At the same time, I apprenticed with an integrative nutritionist (back when integrative and functional medicine was still called “complementary and alternative medicine”) for four years and witnessed first-hand how real food nutrition, whole food supplements, movement, and simple lifestyle interventions could transform people’s health. By the time I graduated from college, I had been accepted to the highly competitive dietetic internship at Los Angeles County + University of Southern California Medical Center (LAC+USC). I spent the next year in the trenches at the largest acute care hospital in Los Angeles learning the conventional dietetics approach to diabetes care, cardiovascular disease, treating burn patients, oncology nutrition, tube feedings, pediatrics, maternal care, and everything in between. It was both fascinating and frightening. I confirmed that I could not, in good conscience, work in a hospital. I survived only because I spent my evenings and weekends on my true passions – tending to our backyard organic garden and cooking real food. After completing my internship, I turned down several hospital jobs because I knew that wasn’t what I wanted to do. I wanted to actually practice what I preach, not what I’d been taught in my conventional internship. Instead, I pursued a comprehensive Pilates instructor training program (in classical, New York style Pilates – the way Joseph Pilates intended “Contrology” to be taught). 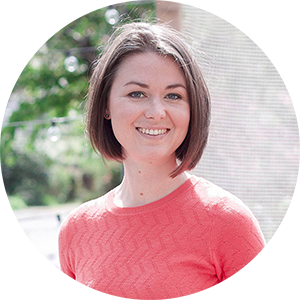 I worked extensively in injury rehabilitation and both prenatal and postpartum Pilates. 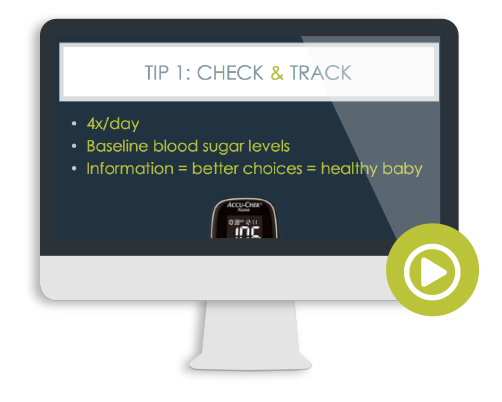 Additionally, I’ve had the great fortune to work with the California Diabetes and Pregnancy Program: Sweet Success to update the nutritional and exercise Guidelines for Care, in other words, shaping public policy as it pertains to gestational diabetes. I’ve also worked clinically with Dr. Siri Kjos, an internationally recognized expert in gestational diabetes, as her prenatal nutritionist and diabetes educator where I personally counseled hundreds of women with gestational diabetes throughout their pregnancies and postpartum. 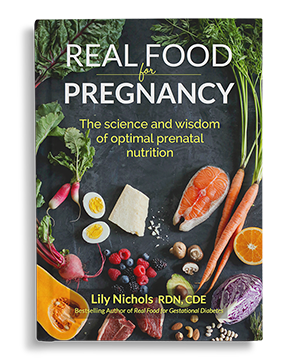 In the past few years, I’ve delivered more than two dozen lectures to medical professionals on prenatal nutrition, gestational diabetes, exercise during pregnancy, postpartum nutrition, breastfeeding (and related topics). 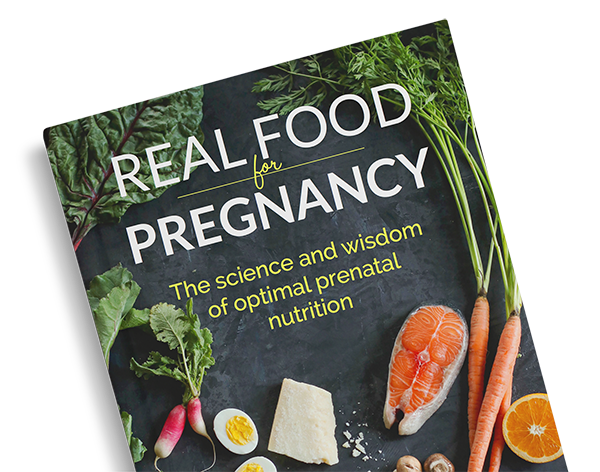 Knowing already how crucial prenatal (and preconception) nutrition is to traditional cultures, these opportunities opened up my eyes to a whole ‘nother arena of high risk pregnancy and helped me see the huge need to improve upon conventional prenatal nutrition dogma. 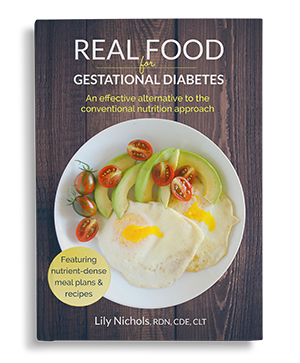 This eventually led to my book, Real Food for Gestational Diabetes, which compiles all of my clinical experience and research into an actionable plan to help moms effectively manage their gestational diabetes with real food, exercise, and simple lifestyle tips. 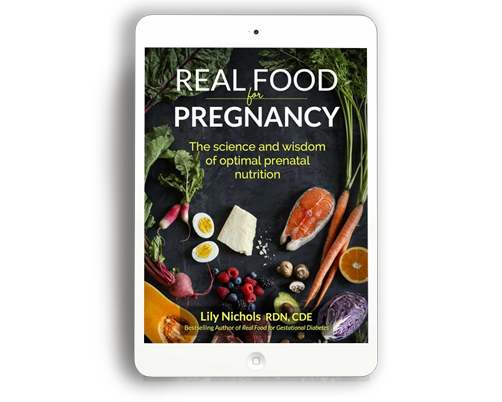 If you like what I’m all about and want my help to heal your digestion, make peace with food and your body, or have a healthy pregnancy, go here to see if you’re a good fit for one of my highly personalized nutrition programs.